Members of the Rural Assembly's network on Immigration and Rural Communities would like to invite you to participate in a nationwide vigil in solidarity with refugees and immigrants who are fleeing violence in their home countries. The network on Immigration and Rural Communities is made up of many organizations representing different sectors across the country who come together to support policies that make a positive difference for immigrants and the communities in which they live. 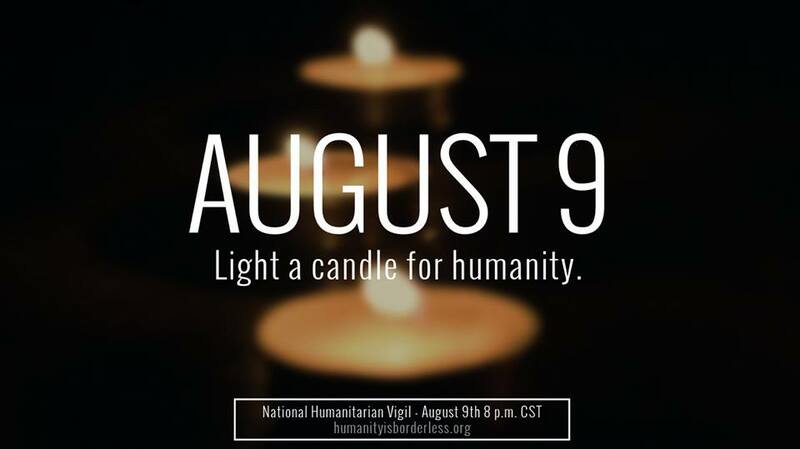 The August 9 National Humanitarian Vigil: Humanity is Borderless is led by the Human Rights Coalition of South Texas and will take place in communities around the country beginning at 8pm CT. You are invited to join one close by or host your own vigil in your community. "... a call to our nation to light a candle in solidarity for immigrants in our nation and for the refugees fleeing violence from their home countries and let Obama know that he has an obligation to this country. We demand that humane immigration policies, such as Temporary Protected Status ("TPS") or Deferred Enforcement Status ("DED"), be granted to persons fleeing from violence from Central America and regions of Mexico. In addition, we demand that Deferred Action be extended to longtime hardworking settled families who live in fear of deportation. This is a human rights issue and it is our human and moral responsibility to stand with our immigrant brothers and sisters." If you have questions, please contact Marlene Chavez with Texas Grande Rio Legal Aid. The Immigration and Rural Communities Working Group of the National Rural Assembly recently hosted a virtual "Immigration Roundtable". Listen to the program below. In July, the White House released a report entitled "Fixing our Broken Immigration System: The Economic Benefits to Agriculture and Rural Communities" which lays out a rural case in favor of comprehensive immigration reform. This roundtable discussion featured representatives from the White House and rural advocates to discuss the report, the proposed comprehensive immigration bill S. 744, and answered questions from participants on immigration.